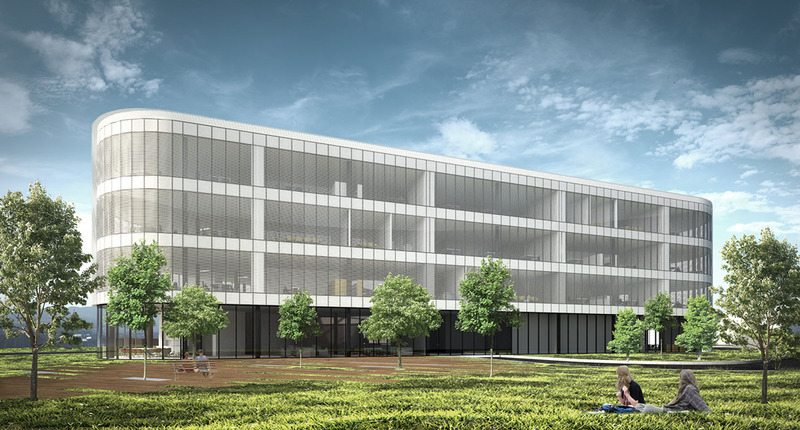 A contest solution for the administrative building of Lidl Slovenia was developed on the basis of the client’s project task and the features of the landscape. 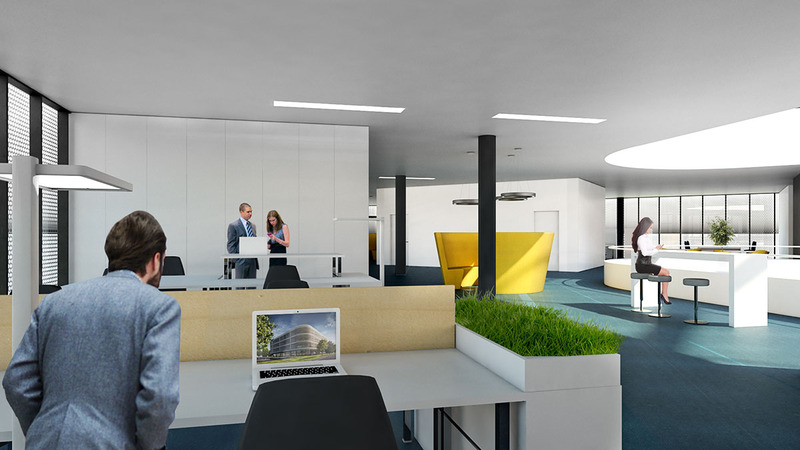 The concept is a result of a thorough study of how the working environment functions; it has a flexible open design of administrative premises and an optimal ground plan and cross-sectional arrangement. The architectural design foresees a compact volume, which reduces the surface of the building’s volume, the façade. 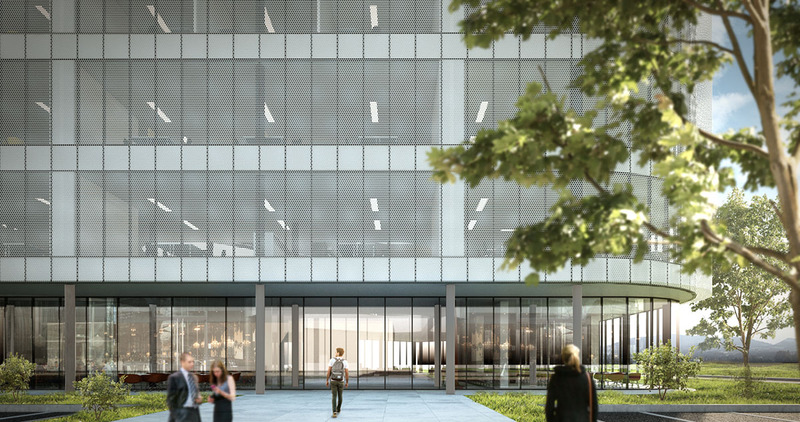 The building is fully enclosed by a glazed façade and shaded by an integral perforated sheet metal envelope around the storeys above the ground floor. 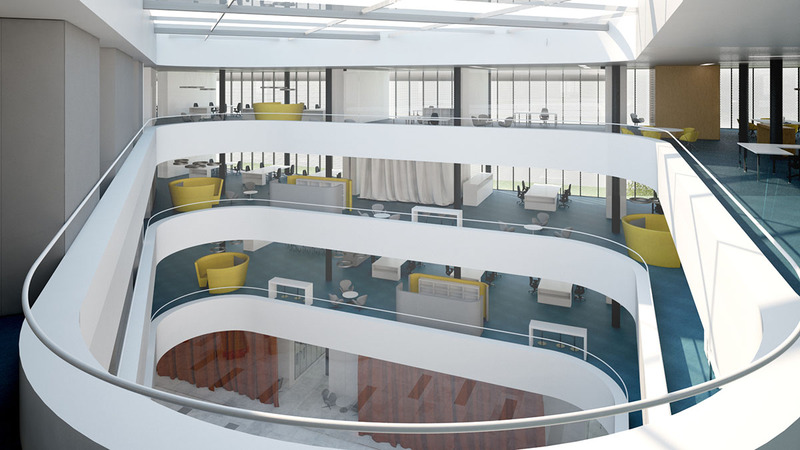 The major starting point in designing this building was the company’s object of business and the organization of the same. Viewed in cross-section, a garage and technical facilities that do not necessarily need daylight are arranged under the ground. 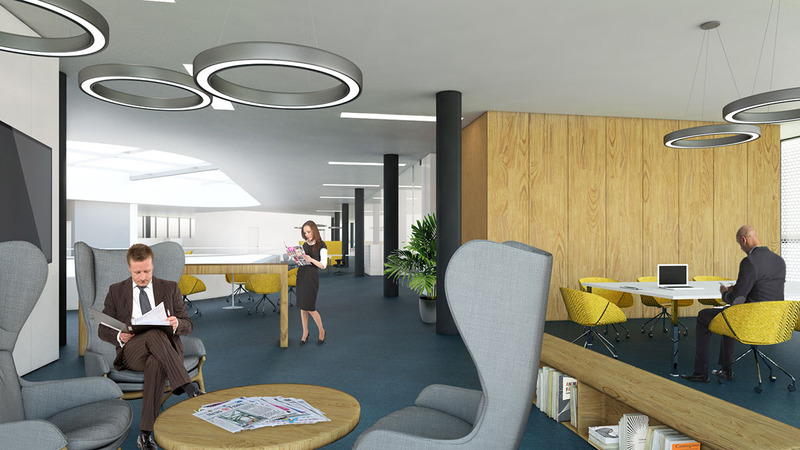 The ground floor will be dedicated to common facilities of the building, to the facilities hosting external visitors. 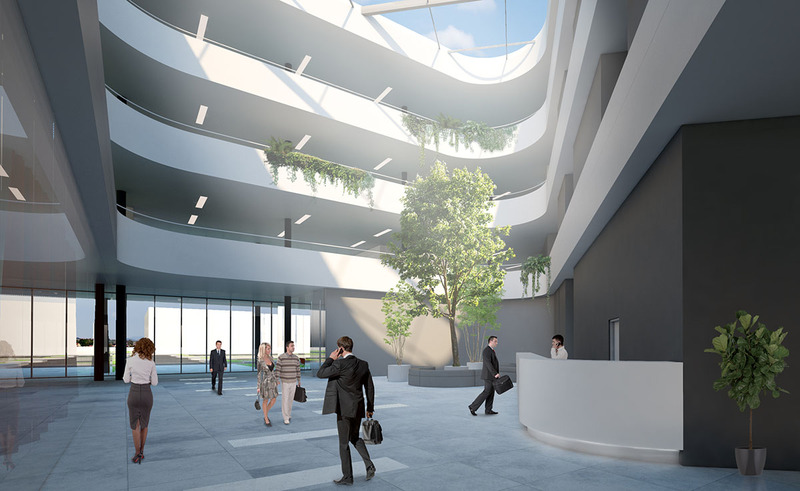 The storeys are intended for offices that are organized by the open space principle, with workplaces arranged circumferentially and informal areas arranged near the inner atrium or the core of the building. 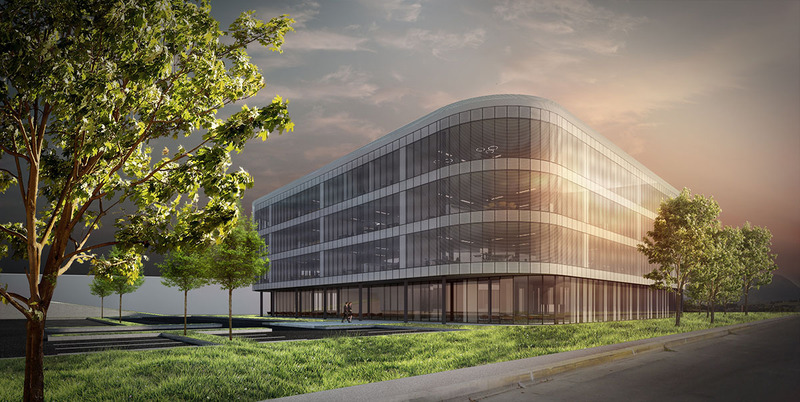 Project typecommercial buildingLocationLjubljana, SloveniaArea14.191 m²Inv. value14.130.000,00 €Year(s)2017Servicesarchitecture: concept designArchitectureElea iCInvestorLidl Slovenija d.o.o.